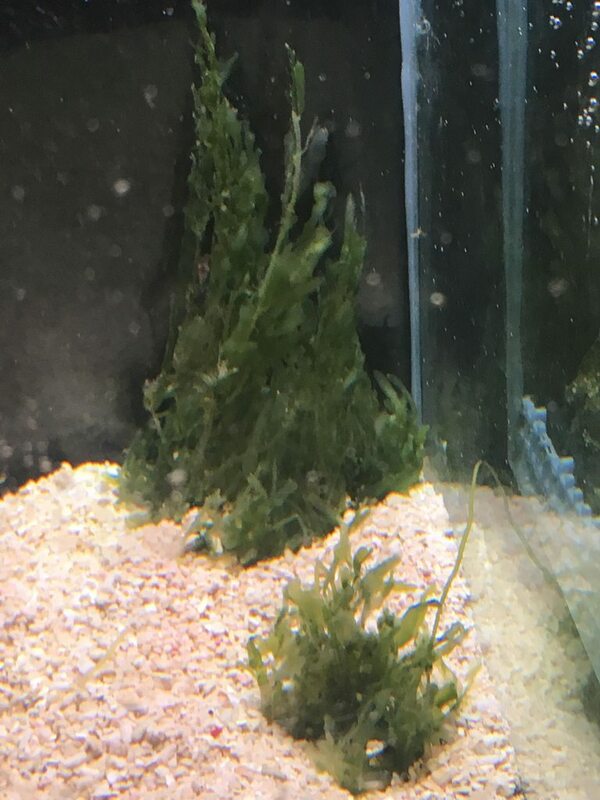 Not sure if this is the appropriate thread but I have some macro algae sitting in my upgrade tank sump (cycling) which I just cannot seem to identify. I really wanted chaeto but being in Australia it's freaking difficult to find any chaeto at all and I tried every LFS. They all seem to prefer selling caulerpa which I think is illegal to sell yet they ONLY sell that as far as macro algae goes. Here's a photo of it. It looks like prolifera to me, as the leaves aren't feathery at all. Just short and oval-ish. It looks like it may be dying off. Bits of clear strands seem to be getting into the display. I've been netting them as much as possible. You are correct it is prolifera. Sometimes a few of the leaves die off. That's pretty normal. The "leaves" are coming out of "vines" yes? Clip those vines so there are only 1 or 2 leaves per vine. Prolifera acts like a single cell, so if part of it goes sexual, all of it can. However if there is only a leaf or two on a vine then the affects are much less. It also seems to speed the growth.